I come to Canastota after 18 years teaching in the Cortland area. I have taught every grade level from 7-12, including various English electives. I will be teaching English 12, Mythology, and AIS. I am also a published author and editor. I created and edited two middle-grade anthologies (the Been There, Done That series), published by Penguin-Random House. In these two books, just over 35 bestselling and award-winning authors shared a true story from their lives, and then wrote an original short story inspired by the real-life experience. Some of the more notable authors I worked with include Bruce Coville, Gary D. Schmidt, Linda Sue Park, Karen Cushman, Julia Alvarez, Jane Yolen, Shaun David Hutchinson, Rita Williams-Garcia. In all, Been There, Done That shows how authors often use their real-life experiences to inspire their fiction. As an author, I have two forthcoming young adult narrative nonfiction books that will be published by Henry Holt/Macmillan. 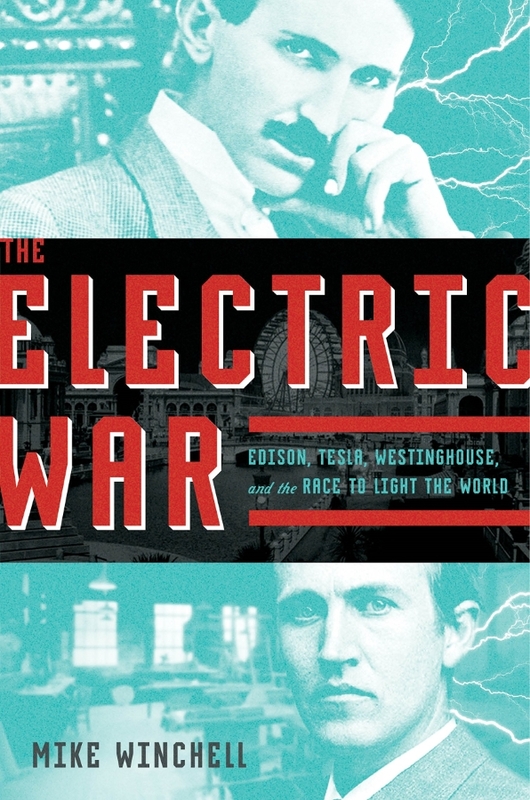 The Electric War: Edison, Tesla, Westinghouse, and the Race to Light the World will hit shelves on January 22, 2019. This book chronicles the spellbinding true account of the War of the Currents between Thomas Edison (who championed direct current) and Nikola Tesla and George Westinghouse (inventors/supporters of alternating current). To learn more about Mike Winchell as an author/editor, you can visit: mikewinchellbooks.com. I’m a proud graduate of SUNY Cortland, and I hold a Master’s degree in Curriculum & Instruction. I live in the Bridgeport area with my wife and two young children.